Barometric or atmospheric pressure is used to determine a pressure system and therefore often part of an Automatic Weather Station (AWS). A measurement range of 800..1100 hPa is commonly used in order to gain the highest accuracy (highest barometric pressure ever recorded on Earth was 1094 hPa measured in Agata on 31 December 1968). While for some applications (stations on very high altitudes). 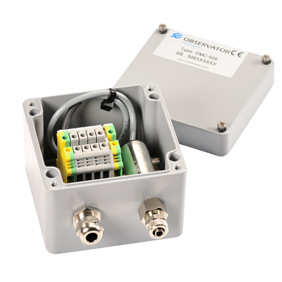 Observator can supply barometric pressure sensors with a lower range down to 600 hPa. In order to reduce the wind effects the pressure sensor can be connected to a so called pressure port in case ventilation to the outside air is necessary.